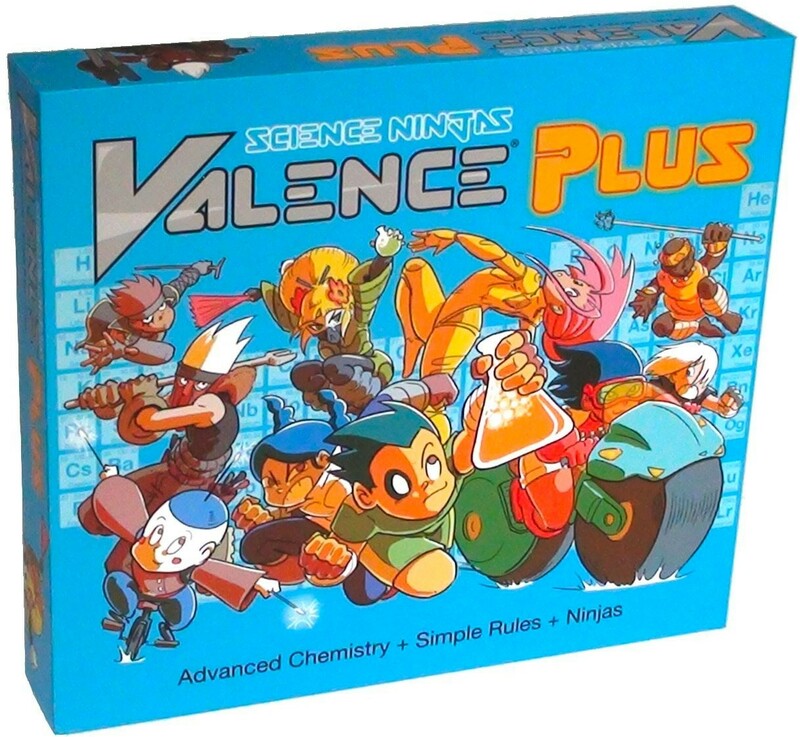 In Valence Plus, you’ll build elite Science Ninja teams out of elements from the periodic table to find molecules and win the game! 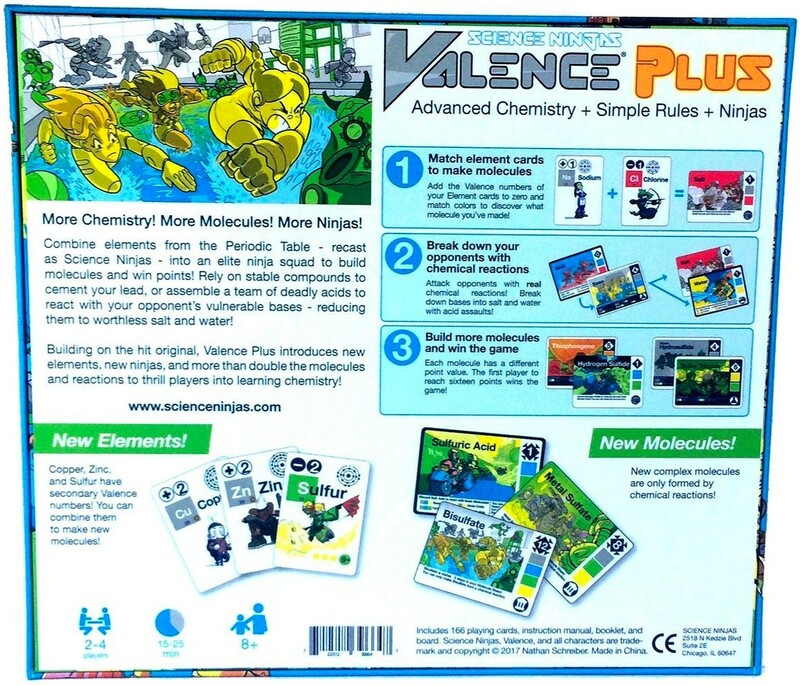 But be careful - opponents might attack you with acid squads, reducing your bases to worthless salt and water. 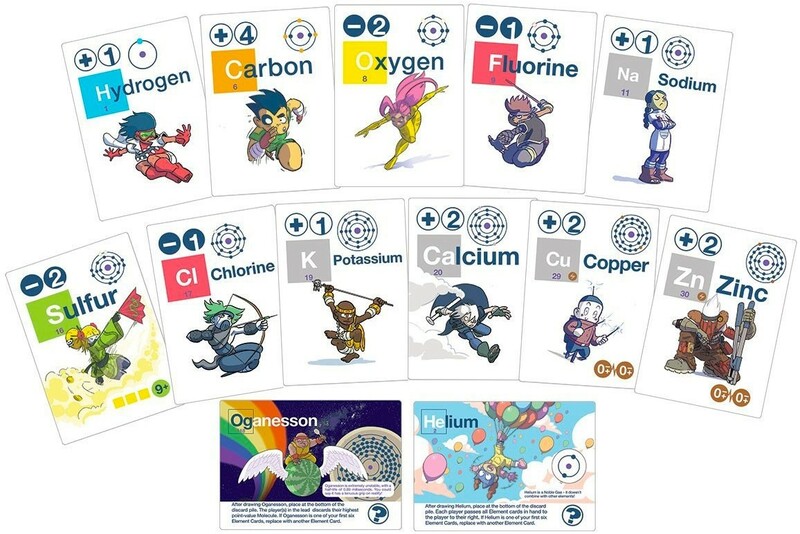 166 linen-look illustrated cards feature a variety of elements, plus molecules like acids, bases, water, and salts, and every interaction in the game is based on real-life chemical reactions, making this a fun and engaging way to learn chemistry concepts during family game night! 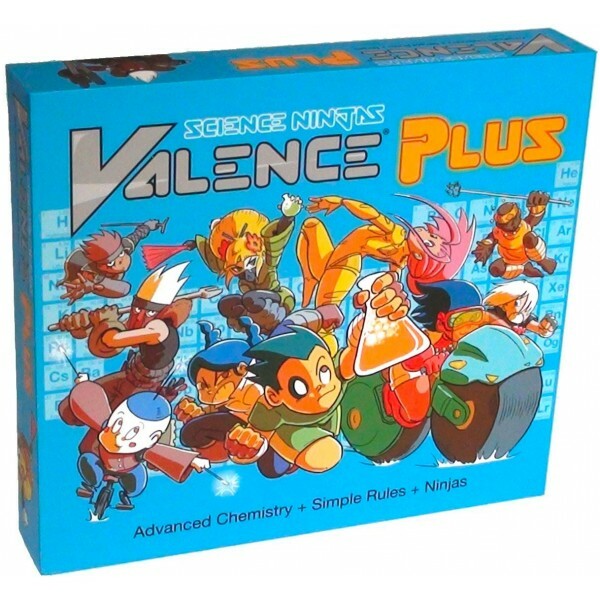 The brainchild of two PhD's in chemical engineering along with a New York Times best-selling cartoonist on a mission to stimulate scientific curiosity, Valence Plus packs a powerful understanding of chemistry into an addictively good-natured game that hits the spot for kids of all ages. 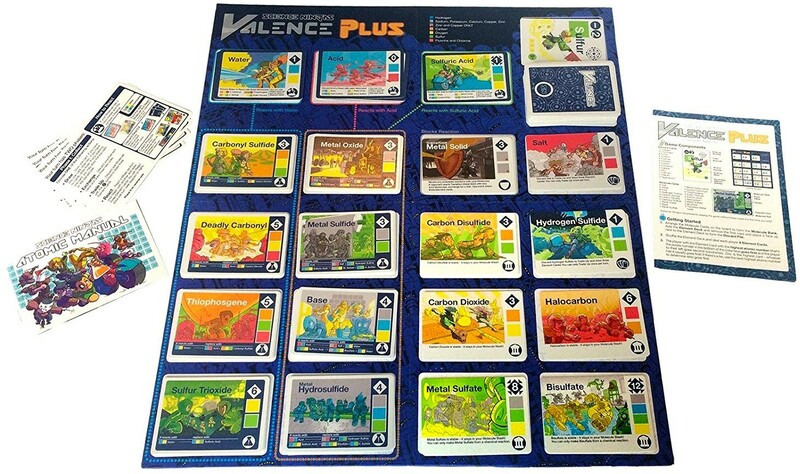 This game for 2 to 4 players takes 15 to 25 minutes to play. 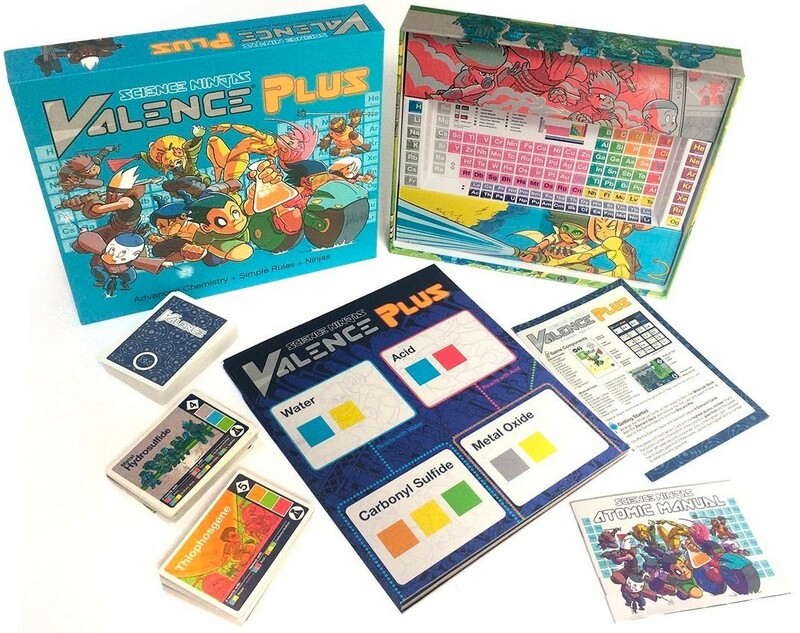 It expands on the original Valence Card Game with more elements, more molecules, and all-new artwork to turn learning chemistry concepts into a game she'll want to play again and again!